As first time homebuyers, my wife and I both were new to the ins and outs of real estate, and everything that goes along with it. We started viewing homes, and Mette was one of the realtors that we met along the way. It was clear from the moment we met her, that not only did she provide great service, but she delivered it with a positive demeanor that made everything more enjoyable. Mette was very knowledgable in all aspects of real estate, and provided answers and clarification for us anytime we had a question. The thing that I enjoyed most about Mette is the fact that she never made it seem like she was ``at work.`` It seems as though she enjoyed viewing houses as much as we did. She always had a good sense of humour as well. I would encourage anyone looking for a home to use the services that Mette provides, as she is an individual who takes pride in her work, is very competent, and always ensures her clients are taken care of. Thanks Mette! We are very happy to give a testimonial on the service we received from Mette Hobden, who was our real estate agent for selling our house and buying another house. Over the three months we have worked with Mette, we can only give rave reviews on her demeanour, her positive attitude, her friendly disposition and her limitless patience. Her prompt response on our questions via e-mail or phone calls made us feel very valued customers. We would highly recommend Mette to anyone in need of buying or selling a house. Mette probably did not know what she was taking on when a 28 year old English guy who climbs trees for a living wanted to buy his first ever home. After some adventures and laughs visiting several run down, remote and different dwellings, I soon found exactly what I wanted - a modern, funky home built on a former logging road set in a rural acreage overlooking a creek. It turned out to be an interesting and unusual conveyance with complicated title and easements but Mette was very meticulous, knowledgeable and pro-active in guiding me through the process. Mette was also very flexible working around my crazy work schedule and actually visited me on site on occasions waiting for me to descend from a tree to sign a form! Thanks so much Mette for your patience, professionalism and sense of humour. Selling a house can be, and usually is, a stressful experience. From the listing to the sold sign, the process is full of decisions that create worry and uncertainty. Not so with Mette Hobden. Mette's professionalism and experience gave us confidence in our decision making. Her hard work was key to bringing buyers to our door step through her excellent website, advertising and open house showings. In person, her confidence and sincerity shine through as she guides you through the selling process. 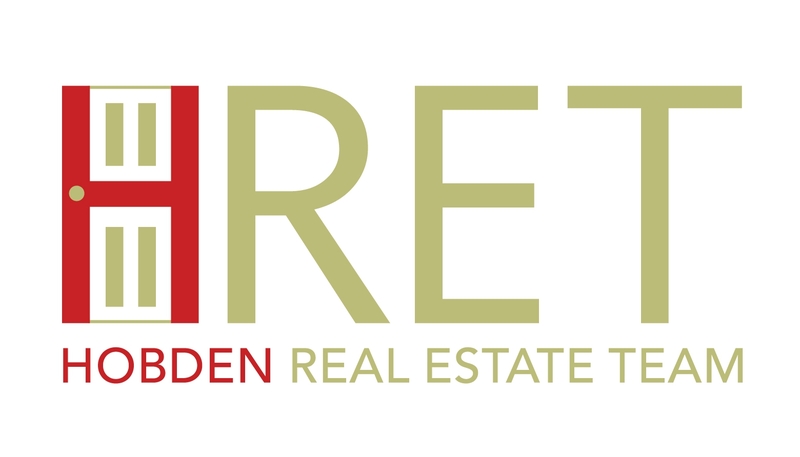 Mette Hobden is a Real Estate agent with control, compassion and commitment. We were impressed with her strong ethics and knowledge of the real estate business. Our experience in this sale was positive and we highly recommend Mette Hobden for any Real Estate business. We are very happy with the services that Mette has provided us. Our very busy year consisted of two purchases and one sale, all of which was smoothly dealt with in a professional manner. We had many specific needs that Mette was able to cater to and we're very satisfied with the professional approach she took towards us as clients. We will continue to use Mette for all our Realty needs and urge anyone in the market to contact her. Mette lead us down our long and winding road to arrive at our new home & life. She stuck with us through what must have seemed like a never ending process. Helping us with the sale and purchase of our new home. Always listening to and addressing every family members concerns & wishes. Giving us hope when it seemed like we would never find something that would fit all our needs; telling us she truly believes everything happens for a reason, even when it doesn't seem like it at the time. The right property will come along at the right time. Mette is very knowledgeable and professional, knowing what to ask and what to look for, being very up front about the good and the bad. We truly appreciate the service, support and friendship, Mette provided us. I chose Mette Hobden as my Real Estate agent after meeting with many other agents in open house situations. I found that Mette provided sound and timely advice in my search for the ideal residence. I appreciated her straight forward and reserved demeanor while patiently showing me many homes, and finally closing the deal. When I did secure a purchase agreement she guided me through the complex steps of due diligence, financing, and insurance. I am thoroughly satisfied with the outcome of our negotiations and would highly recommend Mette to both home buyers and sellers. After selling my character-conversion condo in Oak Bay, I had a limited amount of time to find another home before the closing date. I was in a panic! I'd been looking at little homes in the Maple Bay / Mill Bay area for a couple of years with Mette, who had patiently set up more viewings than I can remember. When I finally sold my Victoria home, it was Mette I turned to to help me navigate what had become the hottest seller's market the Island had ever seen, with lightning-quick sales and higher-than-list / no-condition offers. Mette's calm, diligent, honest professionalism and unwavering availability for viewings, advice and pep talks (I needed quite a few! ), as well as her extensive knowledge of the Central Island kept me on track, and now I have a new little home that suits me perfectly. I am recommending Mette to everyone.